Once part of the staple diet of poor people around these shores, oysters are now regarded as a luxury food. But, how do they stack up when it comes to nutrition? Time for some Nutritious Lolly analysis. An average portion of oysters is around 85g (3oz). 16g is pure protein – around a quarter of the RDA for an adult of around 11 stone in weight. 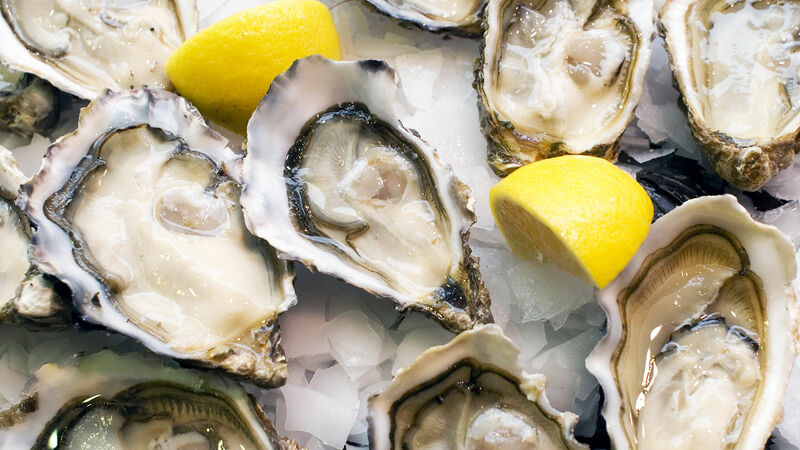 Protein is essential for muscle repair and growth, and oysters have it in abundance. Not only do oysters pack a protein punch, they’re loaded with vitamins and minerals. They’re also jam-packed with omega-3 which is good for brain function and helps to lower LDL cholesterol. Oysters also contain high levels of zinc (responsible for their reputed aphrodisiac properties for men), magnesium, niacin, iron, riboflavin, thiamine (vitamin B-1), vitamin C and phosphorus. They also contain a large amount of vitamin B-12 which supports our nervous system. An average 3 oz portion of oysters also contains a moderate cholesterol content. However, only about 25% of the cholesterol in our bodies comes from the foods we eat with the other 75% being made by the body itself so it’s important to get things in context. Also, the omega-3 content in oysters can reduce bad cholesterol in the blood stream and stop it from binding to blood vessel and artery walls. In this way, it reduces the chances of plaque accumulation and a variety of health complications, including cardiovascular disease. Oysters also have a high sodium content – around 8% – no great surprise to those of you who’ve eaten them raw and think they taste of nothing but sea water. The high sodium content combined with the extremely high mineral content is why oysters should be eaten in moderation. But, if the truth be told, they’re too expensive to include in your daily diet anyway! The high potassium and magnesium content of oysters can help lower blood pressure and relax the blood vessels, thereby increasing circulation and oxygenation of the blood. This in turn reduces the strain on the cardiovascular system. Finally, the vitamin E in oysters increases the strength and flexibility of cellular membranes, which is a third level of protection against dangerous heart diseases. 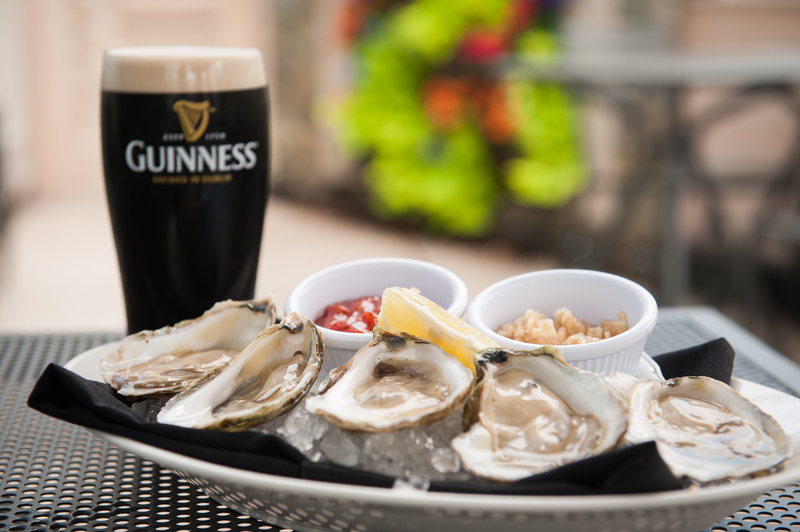 The high levels of zinc in oysters help wounds to heal more quickly and boosts the immune system against various infections and microbes (and did I mention the aphrodisiac properties…woohoo!). They are also a very impressive source of iron, with more than 90% of our daily requirements in each serving. Iron is a key component in forming red blood cells in the body. It is also the primary defence against anaemia, which can lead to fatigue, cognitive malfunction, stomach disorders, and general muscle weakness. Although I’m bigging-up the nutrients in oysters, it’s important to also talk about the elephant in the room – mercury. Mercury, when consumed in large enough quantities can cause brain damage, so it’s ironic that fish which contains a high level of omega-3, which is good for brain function, may also contain a substance that can have the opposite effect. However, it’s good to get things in proportion. Whereas large sea-caught, carnivorous fish such as swordfish can sometimes contain more mercury than is healthy (depending on where they’re caught), farmed oysters should contain little, if any. Also, if the digestive system contains good levels of gut flora, it will nullify any effects of mercury. This is a great argument for taking a good quality pro-biotic regularly. In summary, oysters are the perfect protein and mineral-packed food. They make a welcome addition to your diet when eaten in moderation. If, however, you already have a heart problem then the high sodium content could be an issue so they may be best avoided. Also make sure your oysters are from recognised oyster waters or, better still, from an oyster farm which means you can eat them raw or cooked according to your preference. Finally, remember that life, like the Nutritious Lolly 6-week Whole-Body Plan is about balance. If you fancy some oysters, why not push the boat out and enjoy them with a glass of champagne? Or, seeing as I’m Irish…a perfectly poured Guinness. Sláinte!